Have you been looking for a way to simplify your holiday gatherings? Or maybe just want to have something quick and easy on hand for those sports games at home that turn into a full house of fans. For me I'm always looking for both. It never seems to surprise me anymore when my husband calls after work and tells me he's bring home a few buddies to watch a game on TV. And for that exact reason I try to always keep snack foods on hand that are quick and easy to prepare at a moments notice. A great solution to have on hand is HORMEL GATHERINGS Party Trays. They are jam packed with meat, cheese, crackers, and some even have olives. Each food is individually packaged so they won't dry out waiting to be used. 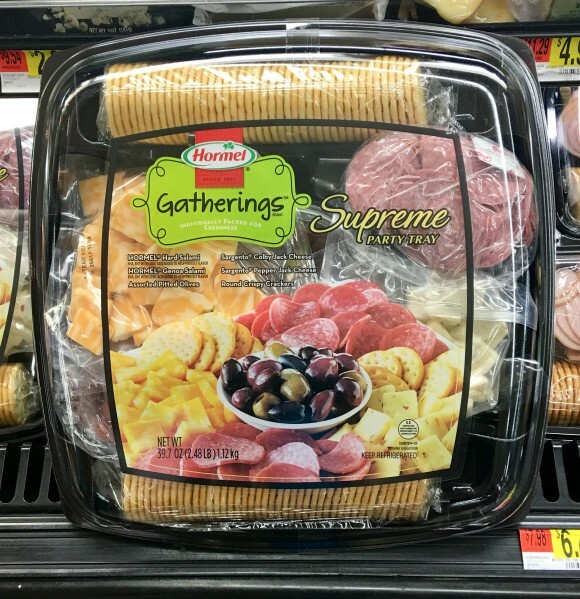 HORMEL GATHERINGS® party trays come in three delectable choices: Hard Salami & Pepperoni, Honey Ham & Turkey, and Supreme. I guess it was just my luck that Walmart only had the Supreme trays because they were the biggest and looked the best to me. 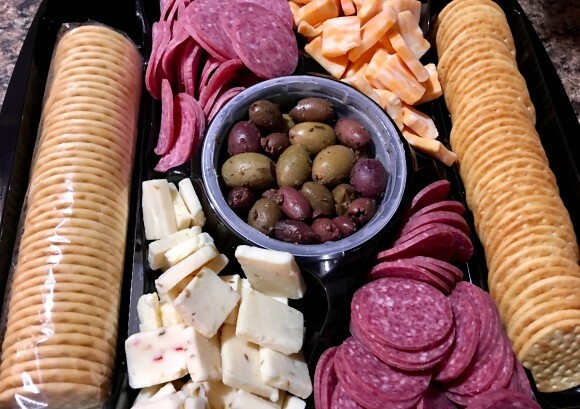 The tray I purchased featured Hormel hard and genoa salami, Sargento Colby Jack and Pepper Jack cheeses, two rounds of crispy crackers and a container of assorted pitted olives. I really like that all of the contents are individually wrapped so they didn't touch inside of the tray. Speaking of the tray, I love having it so I don't have to search for something to serve all of the foods on. The tray is the perfect shape and size to hold everything in it's own neat little compartments. So next time you're at the store why not stop by the deli and pick up a HORMEL GATHERINGS® Party Tray. Even if you don't need it for a last minute gathering they are perfect for family game nights, or just snacking on through out the week! HORMEL GATHERINGS® Party Trays are available at Walmart, or use the store locator to locate the store nearest you.